Kenya, Uganda and Rwanda have concluded the search for the consultant for the regional oil pipeline. The project will be developed as a single project, split into sections that will be carried out by each state in their regions according to Kenya’s Energy PS Joseph Njoroge. The three states settled on Toyota Tsusho Engineering Corporation where a deal was signed on Thursday in Kampala, Uganda. The company was selected among eight that had prequalified for the tender. It is expected that feasibility studies and design of the pipeline will be carried out by the company in five months, from the period of issuance of the contract. Toyota will also be required to supervise construction of a fiber optic cable running from Hoima in Uganda, through Lokichar in Kenya to Lamu and tank terminals in Hoima, Lokichar and Lamu. Tullow oil and Africa Oil have in the recent past discovered 600 million barrels of commercially viable oil in South Lokichar basin in Kenya and thus the need for the multi-billion dollar project. In Uganda, the government estimates their crude reserves at 6.5 billion barrels. Kenya, Uganda and Rwanda embarked on the construction of USD 4bn Hoima-Lokichar-Lamu crude oil pipeline project. The idea of a single contractor for the project was approved by the East African Community member states of Uganda, Rwanda, South Sudan, Tanzania and Burundi in May this year. 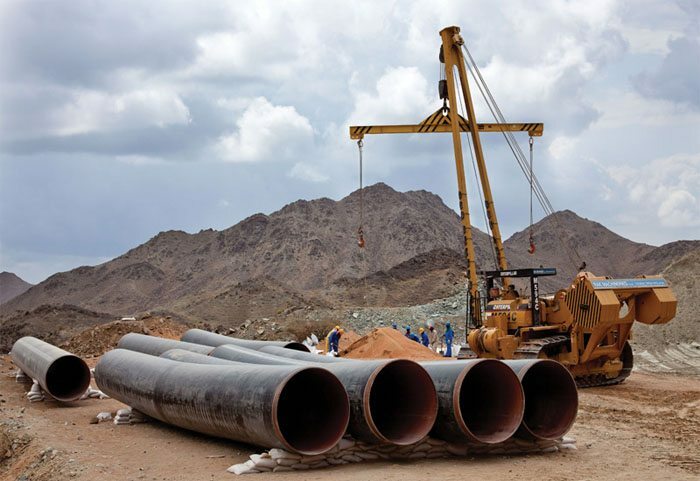 The International Finance Corporation has already committed to providing US$600m for the pipeline project.